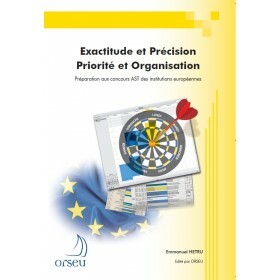 This book is intended for all candidates of European institution competitions who wish to prepare under the best possible conditions for the verbal and numerical reasoning test. 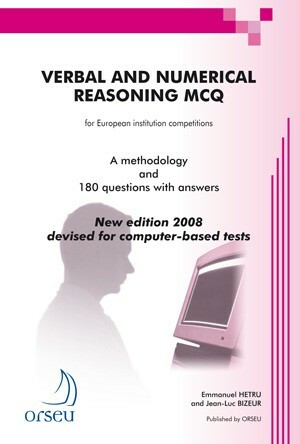 The verbal and numerical reasoning test is usually the test that poses most problems for candidates. It requires both logic and speed. To pass this test, you must manage the time allotted properly and must be familiar with the rules of verbal logic. You must also know how to interpret a text, a table and a graph properly, be acquainted with certain mathematical concepts, and avoid lengthy calculations whenever possible. - Detailed answers to each question. The questions in this book are different from the ones in the 2005 edition. They are similar to those in the most recent computer-based tests for the European public service.